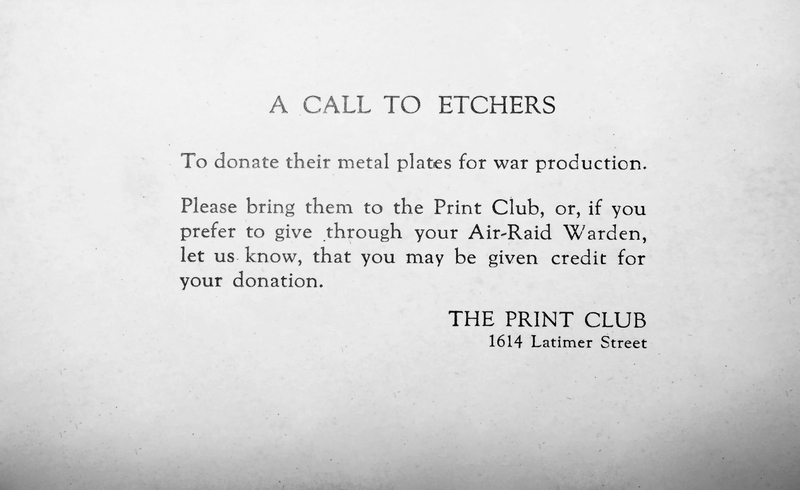 The Print Center participated in many activities in support of the war effort and our troops. This included a drive to collect copper etching and engraving plates to be melted down. 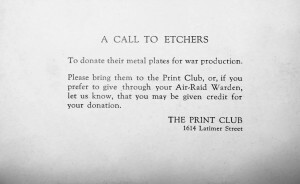 An article from that time noted that the “donations represent a real patriotic gesture on the part of many artists, who are turning in hundreds of old etching plates, most of which could be refinished and used again or turned and reused on the other side, because this is one art material which is off the market for the duration.” The drive brought in over 1,000 pounds of copper. 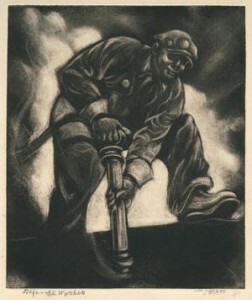 In addition, several war-themed exhibitions were mounted, and featured works by Morris Blackburn, Allan Freelon and Dox Thrash created as a result of the WPA.